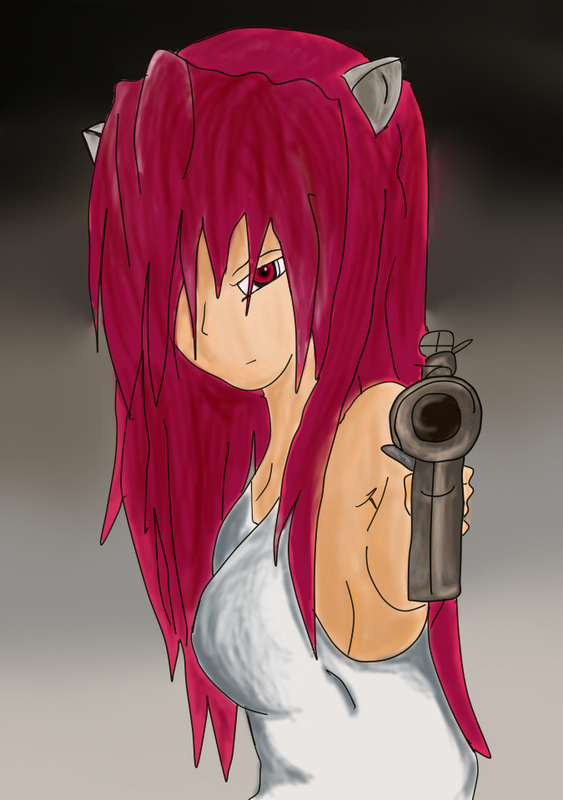 Lucy. . HD Wallpaper and background images in the Anime Drawing club tagged: lucy elfen lied gun nyu fanart. GAAHHHH!!!!!!!! *flare arms rapidly* don't shoot, girl!